Eeeeewwwwww...those are just gross enough that any kid would regret missing them. You should have posted a sign - "Hey Kids! I have EYEBALLS!!!" 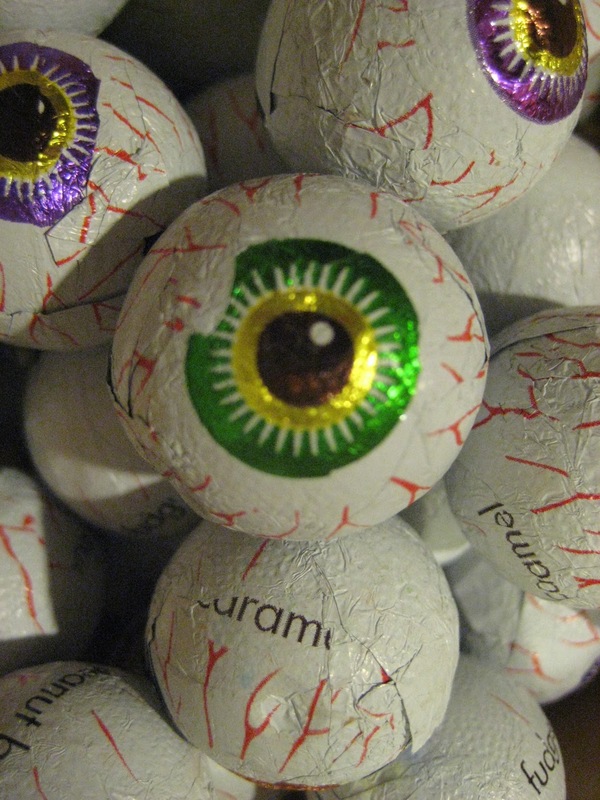 my little trick-or-treaters would have loved the eyeballs!! what a cute treat to give! Those are awesome! I wonder if my neighborhood is just growing up because I didn't have a single trick-or-treater knock on the door. That was a really bad pun wasn't it. Awww... we never get any trick-or-treaters because we live on a steep hill and it's not worth it for them to come up here. Makes it easy but I miss the little goblins!